Every year, Cosmocraft organizes an Astronomy retreat to nearby countries for 3 nights of unhindered observation, along with educational lectures and tutorials. An excellent opportunity not only for students, but anyone who wants to learn more about Astronomy in a friendly, leisurely setting! Organized by Remus Chua, founder of the Singastro forum, Mersing Expeditions are held almost monthly during favorable viewing conditions. Keep an eye out on this thread! Sign up today at http://tinyurl.com/abxxxi ! AstroBash is a twice-yearly overseas star watching trip organized by the NUS Astronomical Society. Trips are typically in May and December during the University term breaks. Places fill quickly so keep an eye on the AstroBash blog to secure a spot in the next Astrobash! 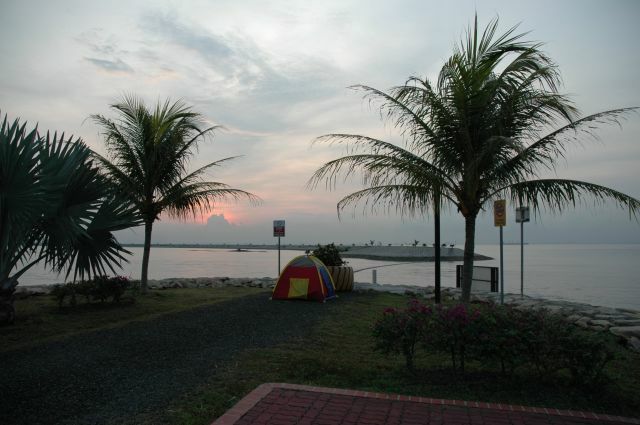 Since 2007, TASOS has organized regular star gazing trips to Pulau Semakau, which has some of the best viewing conditions in Singapore by virtue of its distance from the light-polluted city centre. From here, you can see nebulae, star clusters, galaxies, and (if you're lucky) meteors! Registration for the May star gazing closes on 10th May, enquire at Astro-Scientific Centre in Science Centre, or contact TASOS.